We have many happy clients who highly recommend our quality solar electricity services. Installation of a solar system. I spoke to 3 companies in total and received 3 quotes. ThermaDetect Ltd, or Jerry, was the only company who sat me down and went through how the system works and the types of products on the market. 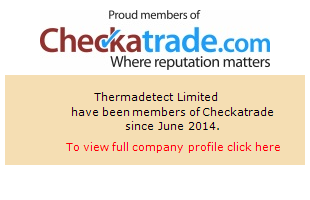 The quote was very clear and very competitive and for me, ThermaDetect was the clear winner. Once the work was booked I was provided with a very clear timeline of works. On time, the works started and were completed. Once installed, everything was explained to me including the tariff application form. Aftersales has been excellent and I couldn’t recommend this company enough. 5KW Solar PV system fitted. Excellent and professional service. Jerry kept us updated throughout the process with clear information on plans and progress with a very high quality of workmanship – despite the weather. Jerry is very knowledgeable on PV systems and took time to explain how we could best use the technology now and to address our future needs. I have no hesitation in recommending him. I have to agree with all the other reviews Jerry has received. He happily answered my all my questions, patiently explained everything and completed the work when he said he would. He also went out of his way to accommodate me with getting scaffolding installed early so I could use it for other jobs. Jerry carefully thinks through everything and we now have a set of solar panels that are generating away and heating our hot water tank whenever we have excess capacity. We are very happy and would recommend Jerry to anyone. Jerry was extremely professional, patient and thorough from initial inquiry to dealing with all the formalities required to complete the job. He was happy to answer many questions and explain in detail every aspect of the installation. He helped us work out the most suitable system for our needs. He has gone beyond the remit of the original work and offered to source information which may prove even more beneficial. We are completely delighted with all he has done for us. Advice on and replacement of failed solar inverter. Very tidy job following provision of advice on alternative replacement inverters for our 2.25kW domestic solar panel system. We are very, very pleased with the work done and the panel production. The work took 4 days including putting up the scaffolding. The work was extremely tidy. All questions were answered promptly. Would recommend the company. Installation of an Intelligent controller to harness excess electricity from solar panels to heat water. Quick, efficient installation. Very tidy and clean workmanship. Received a clear explanation of how the system worked, plus advice on how to read the digital display, and a user guide for reference. Very good. 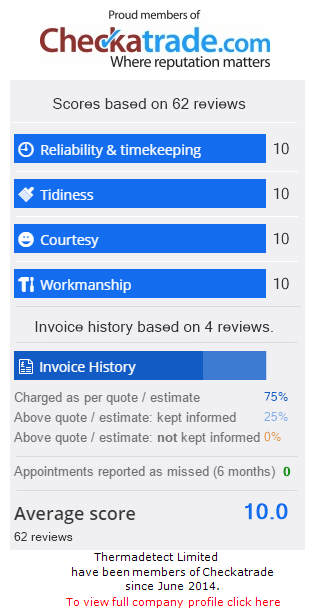 Would use the company again and would definitely recommend to friends. 4kw solar panel system with Solar edge. Jerry provided a really professional and excellent service from start to finish. He is very quick to communicate and responsive, explains things in depth and extremely well. The system is fantastic and we are really pleased with it. I think what was most important for us about Jerry’s work was that we felt completely taken care of throughout the whole process and, therefore, I would say that his customer service is second to none. All aspects of the process and the work carried out were explained in detail and Jerry was very patient with all of our questions. Highly recommended! Jerry did a fantastic job. Clearly he’s passionate about his work as it shines through in the way he has answers for all my questions comprehensively (DESPITE me knowing very little about solar energy) and in the way he delivers a fantastic service. I highly recommend his work, and plan to recommend him to friends and family. In fact, I already have; my mother is getting a quote this week. Quick, efficient and polite. Happy to recommend. Jerry was extremely helpful, thorough and professional, from the original survey and quote right through to completion of the work. All the work was carried out to our complete satisfaction, and we were particularly happy with the advice provided about the configuration of the system and add-ons. Arrived on time. Very happy with the service and quality of workmanship. Excellent work. Really pleased with the solution and system.